As we begin to plan our goals for the 2018 season it's important we design our horses’ fitness programmes and diets to compliment their abilities to perform at top level. Optimal performance can only be achieved if a conditioning programme is designed to help improve cardiovascular function, flexibility, bone strength and increased muscle mass. The most important component of a horse’s diet is energy, a lot of which can be supplied by carbohydrates, fats and protein. Our horses have the ability to utilize energy sources in various forms, for example, carbohydrate digestion and fermentation primarily yields volatile fatty acids which can be stored within the body in the form of glycogen. 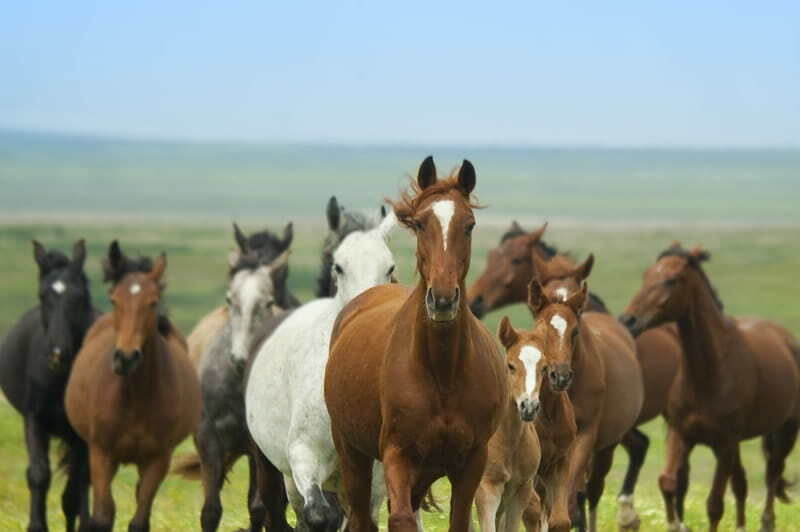 Amino acids, which make up proteins, are the basic building blocks for muscle, at least nine essential amino acids are required within the equine diet. The equine athlete requires appropriate muscle mass to support soft tissues such as tendons and ligaments during training and throughout their competition season. It's important that diet is not over loaded with protein as it can have adverse effects. Bluegrass Competition Range is enriched with high quality vegetable oils and slow release fibres, fortified in bioplexes to enhance nutrient availability and aid efficient muscle function. The Competition Range is an ideal feed for those horses starting their fitness programmes, providing them with the essential nutritional needs. The diet must also contain sufficient vitamins, minerals and water. The calcium to phosphorus ratio is 2:1 and is critical for the bone remodelling process in the performance horse, however, an unbalanced ratio can lead to weakening of the bones, such as alfalfa hay as the primary forage source which can result in 7:1 ratio. Copper, zinc and magnesium compete for absorption and therefore should be supplemented within the diet along with other trace mineral and vitamins such as vitamin E, an important antioxidant. The Bluegrass Prime Conditioning mix has been designed with your performance horse in mind, providing the essential vitamins, minerals and proteins via Stamm 30. The high oil and digestible fibre content produces a slow release energy whilst promoting weight gain and condition. Forage should be provided at a minimum of 1.5% per body weight per day, care should be taken to avoid conditions such as tying up, acidosis and gastric ulcers. The key to success involves slow, steady training to allow the body systems to adapt and condition, including the cardiovascular system and musculoskeletal system, along with adequate nutrition.